Coming October 13, 2018. Not just surfing, but kitesurfing! What?! 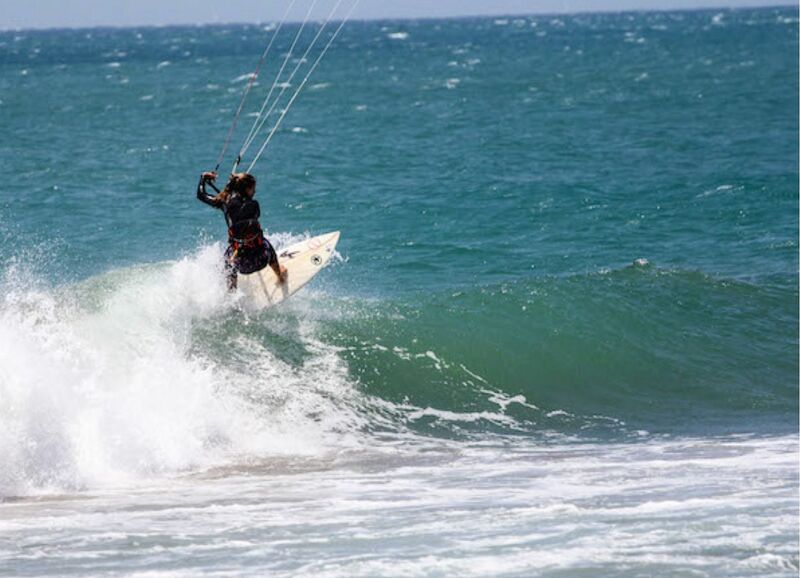 Yes, the Kite Sisters Wave Strapless Kitesurfing Camp will have you soaring through the waves of northern Peru. Two levels are offered: the first week is for beginners and those new to strapless surfboards (Wave Riding Discovery Camp) and the second is for intermediate to advanced surfers (Wave Riding Progression Camp). These are small group sessions with 2 coaches and a maximum of 5 riders per week, so there will be plenty of individual attention, along with video analysis. Accommodations will be in a comfy ocean view property very close to world class kitesurfing spots, and all meals and equipment will be provided. Ride the waves with a kite thanks to the Kite Sisters Wave Strapless Kitesurfing Camp!